"The attempt at a military coup was undertaken by the supporters of the Islamist leader Fethullah Gulen and his movement "Khizmat". Gülen lives in Pennsylvania in the United States and cooperates with US intelligence agencies. He is known as the main opponent of Erdogan, who was formerly his ally. It was Gulen’s structures that stood behind the notorious “Ergenekon” case when thousands of high-ranking military men were thrown in jail, including the entire leadership of the Turkish General Staff. Gulen's network acted on orders from the US once the top brass Kemalists, whose ideologue was the prominent politician Dogu Perincek, raised the issue of radically accelerating Turkey's course of rapprochement with Russia, Iran and China, and even withdrawing from NATO. Gülen’s structure penetrated up to the very top echelon of the government and intelligence services. Erdogan understood the danger of this sect only at the last moment, when Gulenists, once again on US orders, attempted to carry out a color revolution on Taksim Square by trying to unite Kemalists, liberals and everybody opposing Erdogan. The following purges, however, did not liquidate the whole structure." "Erdogan correctly calculated that the EU wants nothing to do with his country and that Turkey is unable to milk extra benefits from the bloc after the Brexit referendum, so he recalibrated his state's foreign policy to align with the multipolar world instead. This saw the recent news of Turkey belatedly declaring Al Nusra a terrorist organization and opening up secret reconciliation talks with Syria, despite still repeating the "face saving" refrain of "Assad must go". 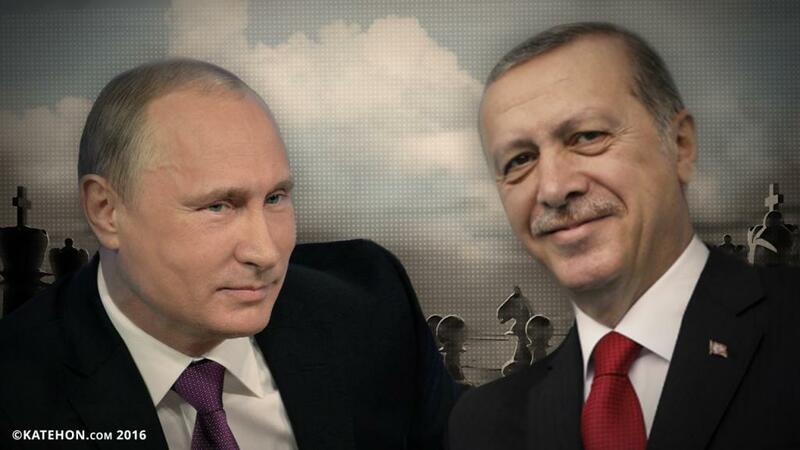 Furthermore, Turkey is part of Russia's nascent coalition of regional powers opposed to the US' daring attempt to militantly carve out the "second geopolitical Israel" of "Kurdistan". Not only that, but Turkey are Russia are also back on track for reimplementing the Balkan Stream megaproject, which when paired with China's complementary Balkan Silk Road high-speed rail project from Budapest to Piraeus, is perhaps the most ambitious multipolar outreach to Europe that has ever been attempted." 1. Migrants against indigenous people. 3. Indigenous people against the migrants. All these contradictions will be used by enemies of continental Europe, primarily the United States to destabilize and weaken the country. Western intelligence-controlled network will be used among European nationalists, Islamists, Kurdish nationalists, the mafia clans. The American bases and facilities uncontrolled by national authorities will be used in secret operations against Europe. The current German leadership of its migration policy is doing everything to facilitate these plans failed." "General John F. Campbell was one of the top figures who organized and managed the soldiers behind the failed coup attempt in Turkey, sources close to ongoing legal process of pro-coup detainees said. Campbell also managed more than $2 billion money transactions via UBA Bank in Nigeria by using CIA links to distribute among the pro-coup military personnel in Turkey. The ongoing investigation unveiled that Campbell had paid at least two secret visits to Turkey since May, until the day of the coup attempt."